I have had the pleasure of knowing this Momma to-be for quite some time now!! Our Husbands played ball together and Megan and I traveled to Mississippi at one point to visit our families! When I found out her and John were expecting, I was through the moon for them! Her stunning blue eyes and gorgeous blonde locks stole my heart during this session!! I mean just look at her! With her beauty and awesome style, there is no way baby girl won't fall in those footsteps; John is going to have a lot of beauty to keep track of!! 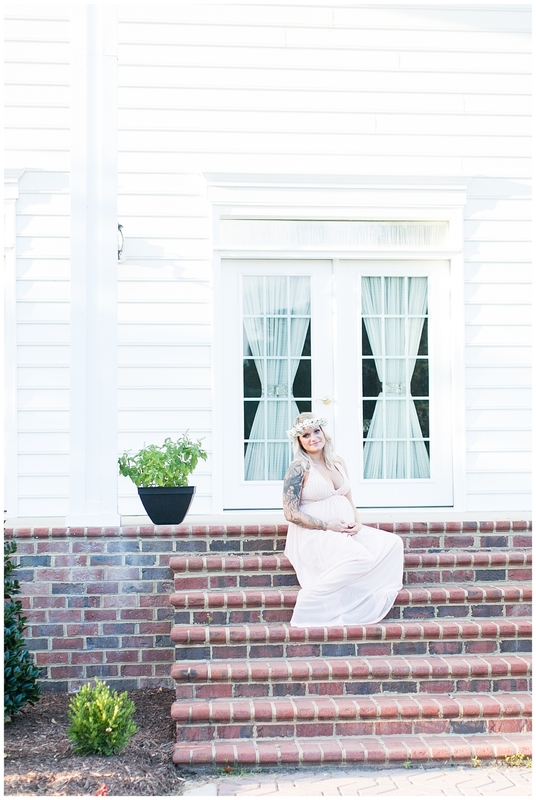 We did Megan's sessions at the Events Of Holly Ridge Manor! If you haven't checked out this place, you need too; it is amazing! It reminds me of the movie "The Notebook," that house, that greenery; everything about it screams romantic! I felt like it fit Megan's vintage style so well. I love how she looks so blissful throughout all these photos and every time she peered down at that baby bump of hers she just gushed with happiness! I know Brice Adelaide is going to be so loved and I can't wait to meet her! Congratulations Megan and John; you are about to love your world even more when Brice enters it! !